Who doesn't love discounts, right? You are not a good buyer, or to some extent, you are not a good Filipino if you don't know how to haggle for a price most specially if you are buying in Divisoria - the famous bargain place in the country. Well, I happen to live near Divisoria, and imagine my surprise when I learned that I there's a nicer place to enjoy great bargains without sacrificing the quality of the item and guess what - branded! 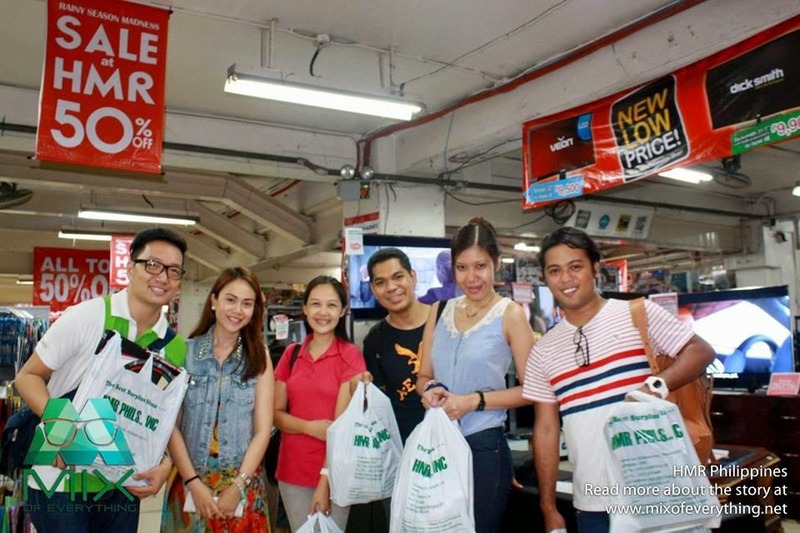 Last weekend, along with my closest bloggers friends, I experienced the shop-til-you-drop experience of my life at HMR Surplus Depot in Mandaluyong City. A two-decade old surplus retail store in the Philippines, HMR is a unique concept store, catering to the needs of a wide variety of consumers by providing affordable surplus products and complimentary technical services. Known as "The Best Surplus Depot", HMR boasts with its concept being a place to buy anything and everything. With retail stores spread in Mega Manila - Pioneer, Mandaluyong City; Malate, Manila; Araneta Center, Quezon City; Novaliches, Quezon City Sucat, Muntinlupa City; and in Sta. Rosa, Laguna - HMR Philippines takes pride at being proficient at finding excellent purchasing opportunities for the past two decades, which you can see and feel in every store that they have in the country. HMR caters to a wide variety of customers, from Class A to E, from big corporation to small enterprises from highly famous personalities to the ordinary employee. And among products that you can find in HMR store are computers and peripherals, home and computer furniture, audio-video equipment, telecommunications equipment, medical and industrial equipment, toys and novelty items, hardware tools and many, many more. 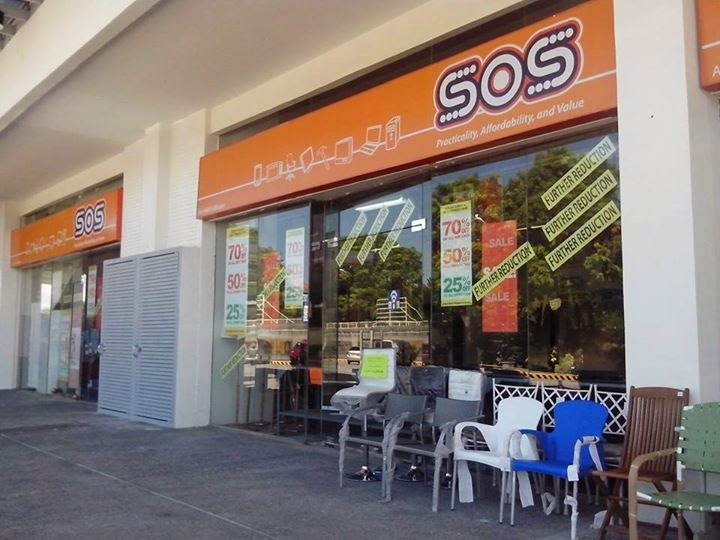 And as HMR continues to expand, including the expansion of it franchise network, Save on Surplus (SOS), HMR Philippines assures it loyal patrons and soon-to-be shoppers a more exciting and budget-friendly products that they can have any day of the week from 9 in the morning to 9 in the evening. Patience is the Virtue - Dig in! On my visit there last weekend, I honestly didn't expect the place to be that big. HMR Mandaluyong occupies a two-story facility in Pioneer area and is going a major renovation on my visit. Business as usual, as I get a chance to explore the whole lot, I know that I'm in for great treat and challenge that day. With Php2,000 budget, I know that I'll be bringing home a lot, but the problem that I had in my mind isn't actually the budget, but rather what to buy and make sure that I get the best of my first visit here in an HMR Philippines store. There are basically a lot of good things here in HMR Mandaluyong, from home furniture, laptops and headphones, television sets, camping equipment, appliances and even construction machinery to almost everything. And since it is a surplus shop, some may not be working properly, so one should really dig in to find the best items that you like. And while to some that may sound a bit challenging, for me I found it so fun! Imagine a high quality item at a lower price, and guess what, they are even discounted to a much lower price! And since we are nearing Christmas Season, here another option to great buyers out there who keeps on seeking high-quality yet very affordable items that suit to your taste and style. After three tiring but really, really enjoyable hours of shopping here in HMR Mandaluyong, I finally took ownership of these items that I find really nice and cool. From my budget of Php2,000.00, I managed to buy two Patrick running shoes, which come in these really nice colors. These shoes are for my nieces, and I'm just glad that they loved it when I gave it to them that night. The price, each pair is Php799.00. I also bought some square plates. These are good quality plates made by Elite, and each piece cost me Php69.00. And isnce I still have some spare, I bought some imported candies, which cost me Php49.00. I will never look at shopping the same thing again after this experience. And I think I'd keeping coming back to this place and be one of the hoarders of some of their amazing, discounted shops. I don't wanna say it, but I think I'm starting to love you, HMR! Hahaha! And since HMR Philippines is ready to take another leap on its more than 20 years of existence, expect some new brands that HMR calls "home brands." And kicking off the leap is the launch of its sporting brand, LORO. 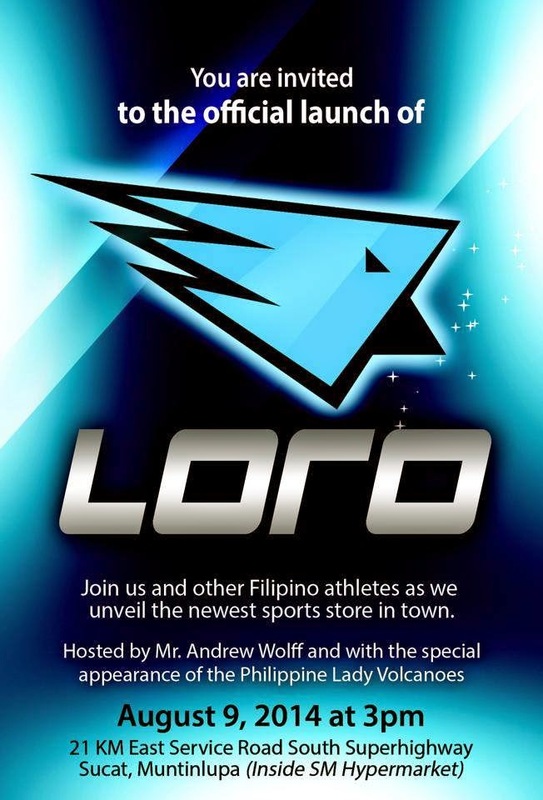 LORO's launching will be at HMR Sucat, Paranaque on August 9. So if you are free and into sports, feel free to drop by. I think I'll be there since I'm looking for a new bike! Wee! You can check our HMR Philippines official website, www.hmr.ph, for a complete list of items on sale. You can also follow them on Facebook, https://www.facebook.com/HMRPhilippinesOnlineStore, to get more updates and exciting news! Thank you, HMR! See you again soon!